The first ever Apple authorized wireless game controller for iOS devices has been released today. 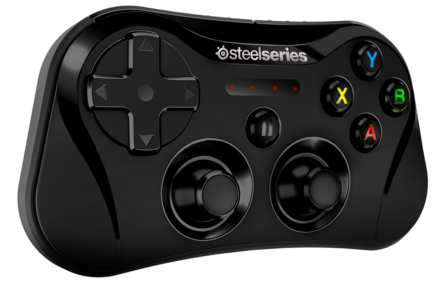 SteelSeries debuts the wireless MFi game controller “SteelSeries Stratus” for iPhone, iPad and iPod touch devices. The SteelSeries Stratus wireless gaming controller supports the very latest Apple’s Retina iPad Mini, iPad Air, and the iPhone models. The wireless gaming controller seems to be supporting the rather elderly iPad and iPhone models too. In the previous year, we saw two other game controllers in the market introduced for iOS devices. These followed the Apple’s MFi program (Made for iPhone/iPad/iPod) that was introduced with iOS 7 in 2013. The two gaming controllers for iOS include Logitech’s Poweshell and AcePower by MOGA. These two gaming controllers were connected via a built-in Lightning connector and fitted the iOS device device directly in the controller. This wireless gaming controller is designed to give a console sort of gameplay on the iOS devices. When streamed to an HDTV via Apple’s AirPlay, it might successfully create the actual-console aura. Interestingly, Stratus also supports the local multiplayer mode for up to four players giving you an Xbox One and PS4 sort of feel. SteelSeries Stratus is the first to introduce an standalone design connecting any iOS devices over Bluetooth making the support for iPad very much possible. SteelSeries looks much smaller than the other available MFi controllers and also lacks the built-in battery that was found both in the Logitech’s Powershell and Moga’s AcePower. 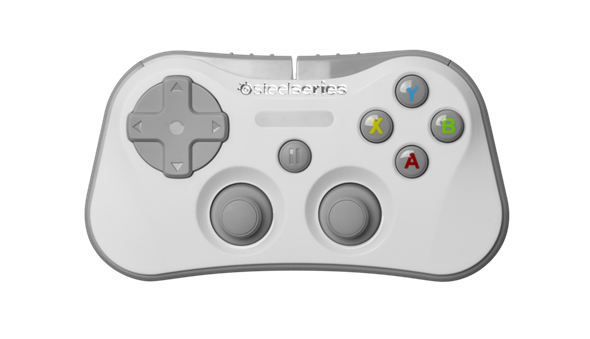 SteelSeries Stratus wireless gaming controller offers approximately ten hours of battery life. Which sounds good, but then you would have to wait for some two hours to juice it up again. Debuting for $100, SteelSeries Stratus Controller is already available for preorder. Featuring a pressure sensitive multi-directional pad, you will find 4 pressure senstive action and shoulder based buttons. The design of this new gaming controller includes dual analog joysticks and a dedicated pairing button to quickly connect with any supported iOS device. Pre-order the SteelSeries Stratus wireless gaming controller for $9.99 from SteelStratus.